As oils, allergens and other contaminants dig deep into furniture, its upholstery becomes dirtier and dirtier, reducing the furniture’s value. But beyond that, grimy or stained furniture gives a poor first impression to anyone who walks into your business. 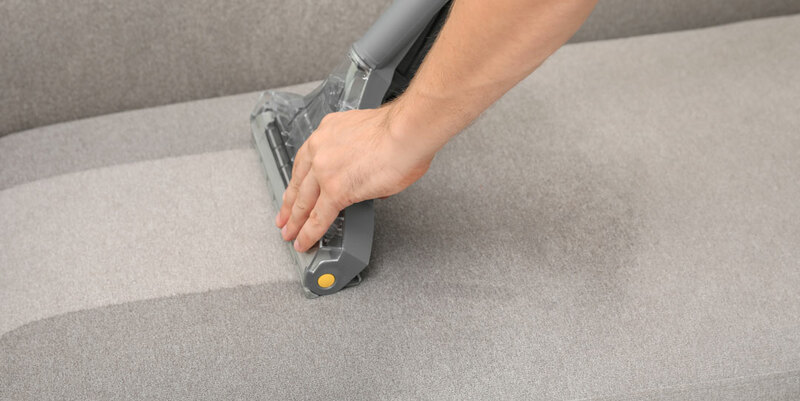 Let Spring Clean Carpets help your business out! Among our many services, we are an upholstery cleaning company offering professional furniture cleaning services to commercial businesses in Utah and Salt Lake Counties, including locations such as Saratoga Springs, Orem and Cedar City. A good upholstery cleaning company should provide you with great results with each and every service. When you book our commercial upholstery cleaning services at Spring Clean Carpets, that’s exactly what you can expect. Through the years, our team has only become more and more knowledgeable about how to provide you with the best upholstery cleaning available. We know what solutions and methods to avoid so that upholstery doesn’t shrink or become discolored in the process, as well as how to wash and dry upholstery faster. Our professional upholstery cleaners also know the best way to clean each particular type of upholstery. Whether that’s for a leather couch, velvet seat cushions or linen armchairs, we will customize treatment for each specific upholstery fabric and texture. Each cleaning solution we use effectively loosens and removes dirt, grime and debris without the use of harmful chemicals that may damage furniture. Upholstery cleaning helps to reduce allergens in your business and commercial space, but that shouldn’t come at the price of using unsafe solutions. Our upholstery cleaning solutions give your furniture a clean, even finish that will help improve the air quality inside your business and maintain the furniture’s value. We hope to earn your trust by making your satisfaction our top priority. Call or contact Spring Clean Carpets today to request your commercial furniture upholstery cleaning services in Saratoga Springs, Lindon and throughout Utah and Salt Lake Counties!